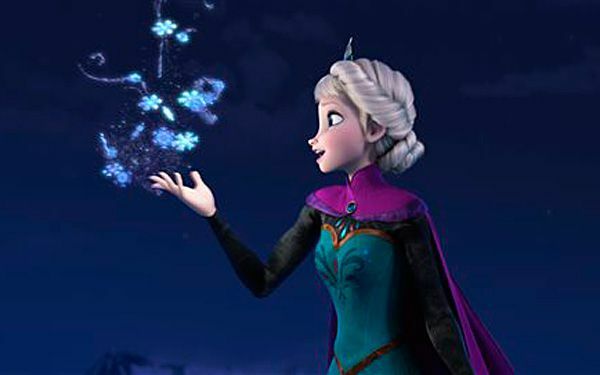 The Walt Disney Co. has announced plans to make a sequel to the animated mega-hit "Frozen." The sequel had been widely expected for a film that has become a juggernaut for Disney. Since its release in November 2013, "Frozen" has made nearly $1.3 billion globally at the box office. It also generated a massive merchandising revenue stream and won the Academy Award for best animated feature. Disney didn't announce any details on the sequel's plot or a release date. But directors Jennifer Lee and Chris Buck will return. Bob Iger, Walt Disney Co. chief executive, and John Lasseter, head of Walt Disney Animation Studios, joined in officially announcing "Frozen 2." They were at the company's annual shareholders meeting in San Francisco. "We enjoyed making Frozen Fever so much and being back in that world with those characters," said Lasseter. "Jennifer Lee and Chris Buck have come up with a great idea for a sequel and you will be hearing a lot more about it and we're taking you back to Arendelle." Though a sequel was always only a matter of time, fans have waited eagerly for the announcement. Most big box-office hits generate sequel announcements within weeks of opening. But any delay in a "Frozen" sequel has been easily assuaged by the film's unabated popularity. "Frozen" is by far the biggest grossing animated film ever. Its soundtrack, led by Idina Menzel's "Let it Go," remains ubiquitous. A "Frozen" short is to play in front of Disney's latest release, the live-action "Cinderella." Josh Gad, the voice of the snowman Olaf, will be returning for the sequel. No other returning characters were announced. At the shareholders meeting, Disney also announced a release date for "Star Wars: Episode VIII": May 26, 2017. Rian Johnson ("Looper") is confirmed to write and direct. Critical thinking challenge: Who stands to gain the most from "Frozen 2," and why? I kind of liked this article I do not really like frozen but I kind of like Olaf. 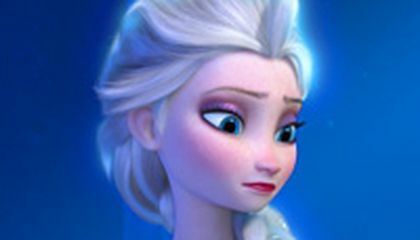 I saw the first frozen and I do not know how they are going to make a frozen two because the way it ended I though it would be hard to make a other movie off that. I am very excited to see Frozen Fever. I think Ana is going to get maried to Kristof and I love the eridgonal Frozen, too. I think there are going to be some songs innthe new one. I am very exited. Even know I did not know what Frozen was I now Know that Frozen is an animated movie from Walt Disney. Also I only knew about Olaf and I didn't know Olaf came from Frozen I thought Olaf came from from The Incurables. Obviously I don't know very much about Disney. I really don't know anything about Disney .Well now I know something about Disney. And that one thing is about Frozen. I HATE Frozen. All of the Let it go stuff made me sick just thinking about it. I think Elsa is mentally insane. I think so because she went on top of a mountain and sang a song. Who does that? A crazy person. That's who. Also she talked to a snowman, hurt her sister with snow ( Anna is weak if snow can hurt her), put an everlasting winter on Arendelle, and made a big snow monster and the only reason Frozen two is coming out is because the director wants some more $$$$$$$. The director will get the most money. I think they will make a lot of money by making "Frozen" movies. It will be really cool to see the new movie, my sister is a big fan of Elsa. I think she will be really happy. Disney are making frozen 2 OK so i didn't like frozen but i did like in summer or the 8th grade sheet music my brother play but one song i didn't like was do you wan't to bulid a snow man. I think its going to be interesting i cant wait to see their future lives and i hope Elsa gets married i dont want her to be lonely forever! I heard about this on Good Morning America. I thought that it was a good idea to make a sequel, knowing how many fans the movie has today. OK first lets get 1 thing straight I HATE frozen. But Disney made ...........$1,300,000,000.00 Dollars. WOW that's a lot of money off one single animated movie, just wow. Wait one second now Disney is making FROZEN 2 ?!?! OK this has gone to far. This is to terrible and this article is interesting.